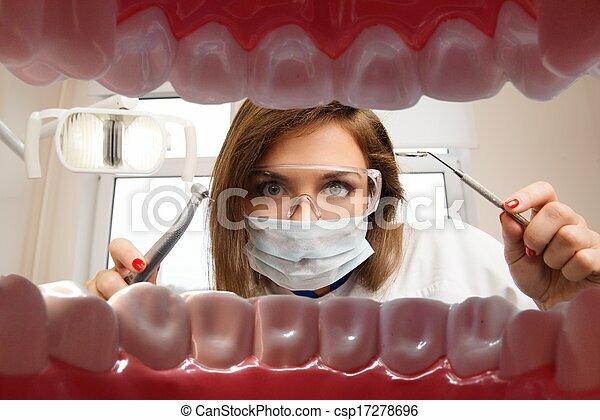 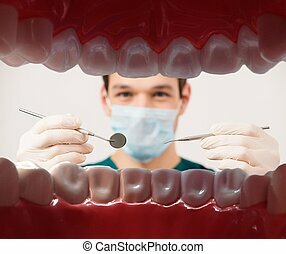 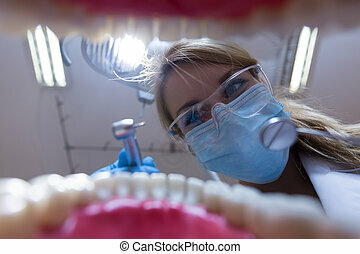 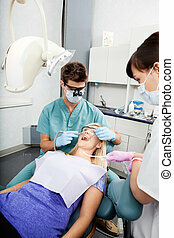 View at young female dentist with dental tools from patient's mouth. 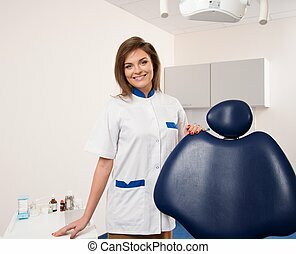 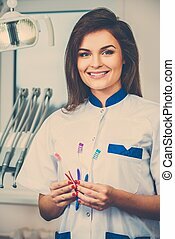 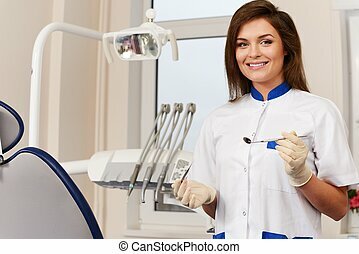 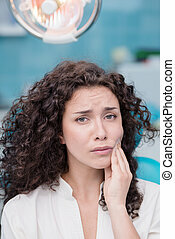 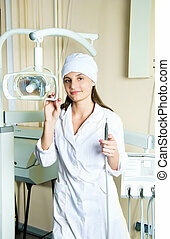 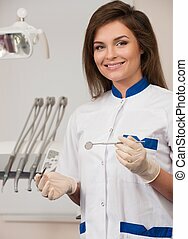 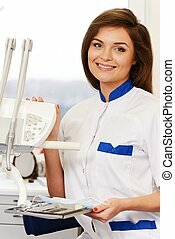 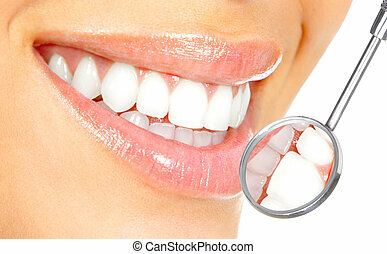 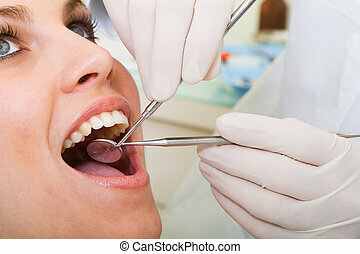 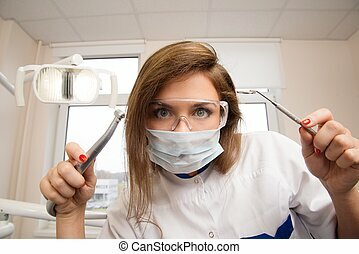 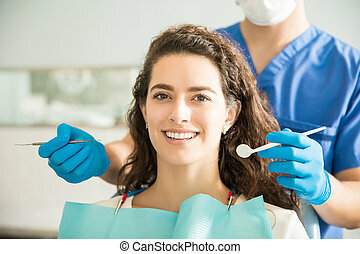 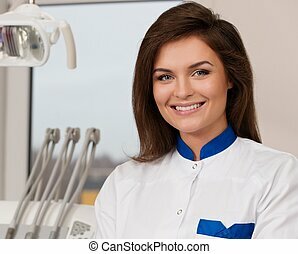 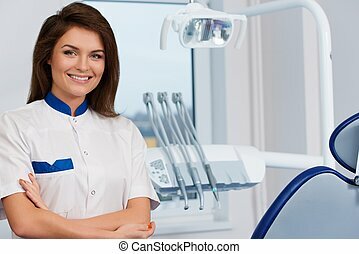 Close up portrait of Young girl with dentist pointing at mouth. 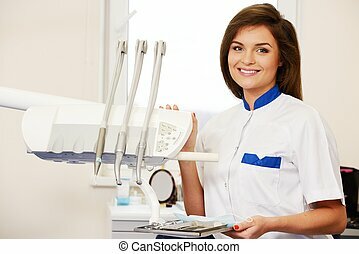 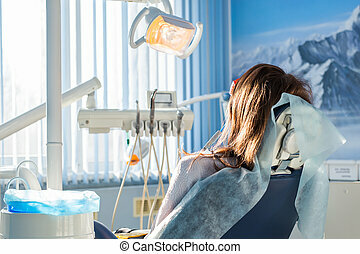 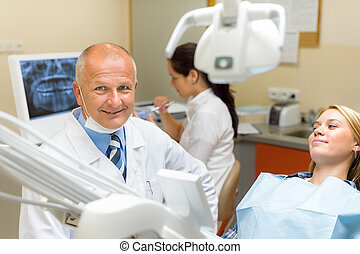 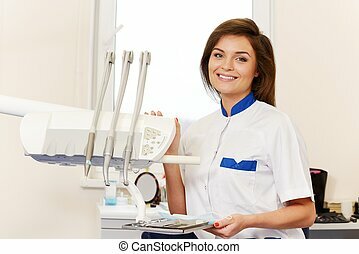 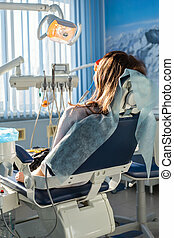 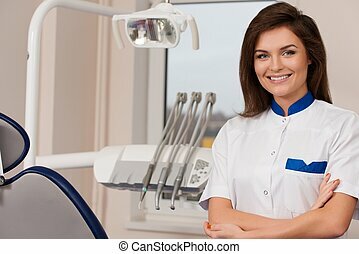 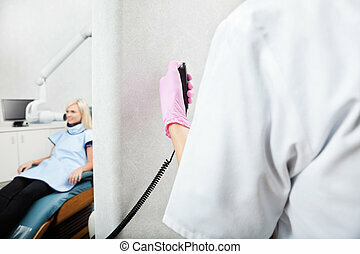 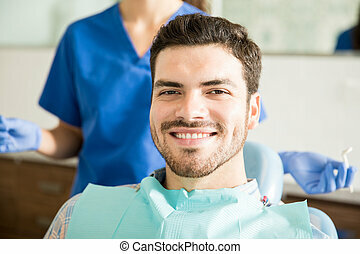 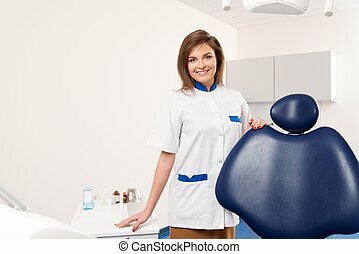 Back view of young female patient visiting dentist office sitting at dental chair. 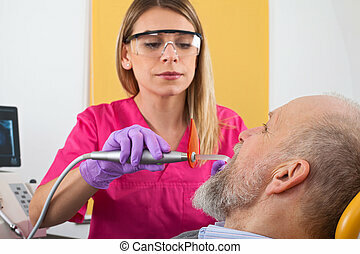 Clinic stomatology.